It’s interesting how often we ‘tiptoe’ into each Christmas. Most of you have heard the ‘offensive’ greeting of saying “Merry Christmas” before. One may rebuke, “It’s Happy Holidays!” We are in a fascinating time where a kind gesture can be misinterpreted as offensive. As a Christian, if someone was to come up to me and say, “Happy Hanukkah!”, I would not get upset……in fact, I may not even correct them. It was a nice gesture, I’ll take it. For me, Christmas and Easter are opportunities to really celebrate my faith, not to offend. The fact is, we don’t celebrate these two holidays without this faith. Christmas celebrates the birth of Jesus Christ while Easter celebrates Him raising from the dead. So I would say if any two holidays were ok to talk about Jesus, these may be them. Can St. Patrick’s day really be celebrated without mentioning St. Patrick…….ok, bad example….not sure if he’s ever mentioned. Could be the alcohol intake. This Christmas (less than 2 weeks away), I will again go into the holiday feeling extremely blessed and joyful that I get to celebrate a God who loves me and you unconditionally. A God who will never leave you or forsake you. A God who gives me an overwhelming sense of peace in an absolutely crazy world. A God who has blessed me with so much that I want to tell the world of His saving grace. A God that is just waiting for you to say YES to Him. On Sunday December 23rd(9:00 & 10:30AM) and Sunday Christmas Eve (5:00PM) Fellowship Church will have a one-hour service celebrating Jesus. 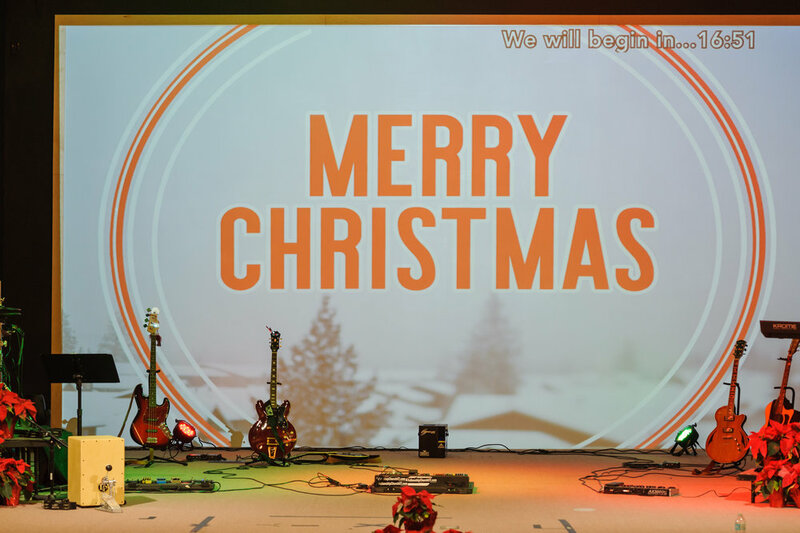 We’ll start with some upbeat music, a skit, a story for all the children right on stage, a candlelit rendition of Silent Night and a short relevant message on the hope of Christmas. There will also be coffee and cookies. This has been the start to my families Christmas for almost 20 years and I wouldn’t change a thing. I really hope you’ll join us.